Pamela Wright of the National Archives describes the forthcoming Citizen Archivist Dashboard. David Weinberger, senior researcher at the Harvard Berkman Center for Internet and Society, was very impressed with this project and felt that crowd sourcing not only was the best way to improve access to such a huge collection, but it was fundamentally democratic because the materials in the National Archives belong to the public. The National Archives began exploring uses of social media only a couple years ago, and boy, have they caught up. 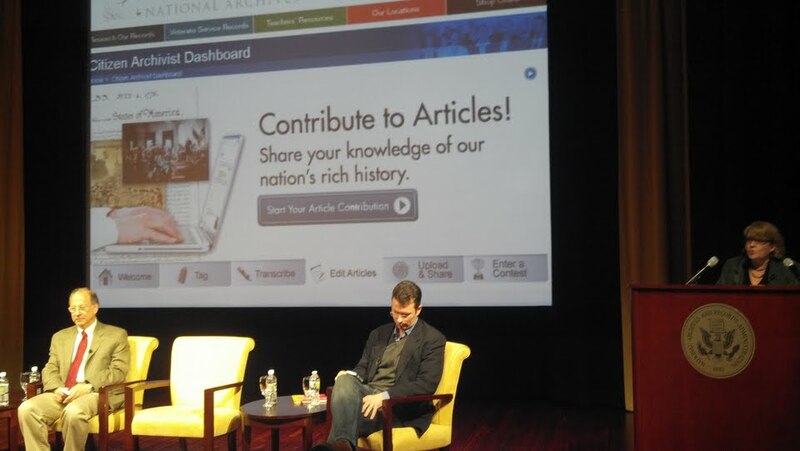 I’ll provide a summary of their current efforts in an upcoming post and a video of the forum will be shared on the National Archives’ YouTube channel (http://www.youtube.com/usnationalarchives) in about a week or so. This entry was posted in Community engagement, Leaders in the field, Social media, Technology and tagged National Archives, Pamela Wright on November 9, 2011 by Max van Balgooy.